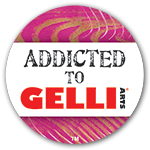 People have commented that they (like me) have tons of Gelli prints that they struggle to find a way to use. If you don’t do collage that must be a universal problem. I love the effect of the Gelli prints on packing tape and while I also love the iPad decoration idea, there are just so many iPad covers anyone needs! 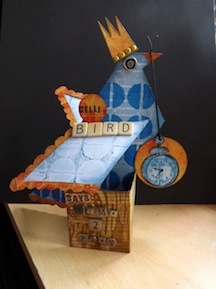 Although the original tutorial applies the Gelli printed tape to foil, or adds mica powder to fill the still-sticky gaps, or glitter flakes or glitter, I tend to leave the sticky so the piece can be stuck to something useful. I am careful in my placement of the paint so the areas that are sticky are spaced, and enough to adhere the piece. But in considering ways to use it, I thought of a simple little mini-book. and scored it with a 1 inch spine. 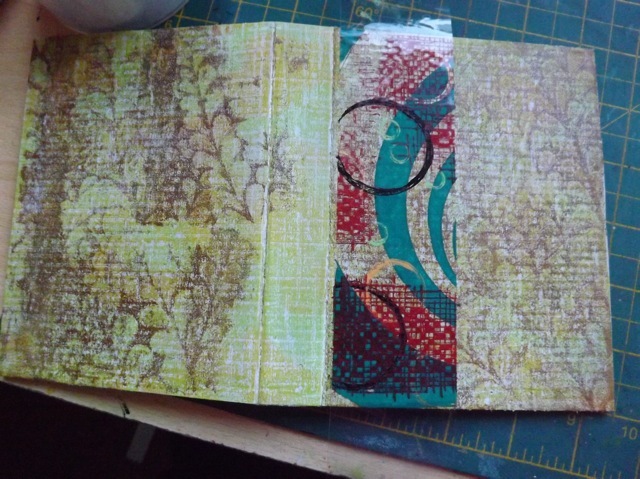 I will make maybe two, maybe three, little Gelli printed signatures to sew in. I’m thinking I might try sewing them in with my sewing machine. With a heavy-duty needle it might work, although I may end up dodging broken needle tips! Goggles a must, I think LOL! I intentionally set it up with the shiny printed side inside the book. I painted the raw cardboard on the other side with white, then pulled a print directly on to that. Starting just at the spine on the cover, I stuck the packing tape on, wrapping the extra bit top and bottom to the back. That’s why I made the slightly slick printed surface on the inside. The tape stick very well to that and really secures it in place. 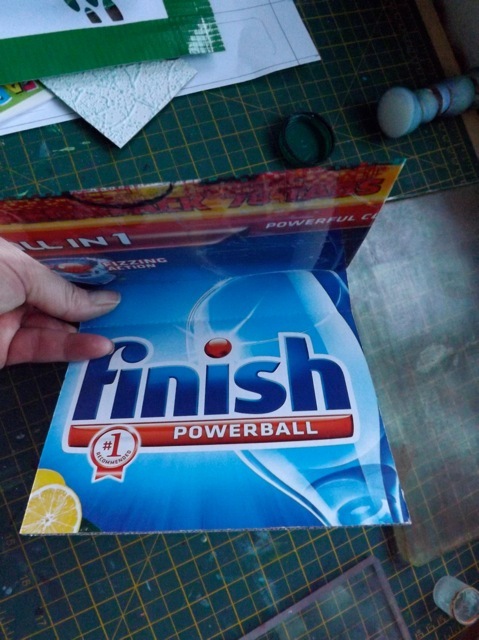 That avoids most of the issue with the printed areas not being sticky anymore and give a good overall adhesion. Just line up the tape strips. I made sure the last one had a strip of unprinted area on the right so I could miter the two outside corners and wrap the tape to the inside. I could have covered the spine and the back too, but haven’t yet. I am pretty sure sewing thru cardboard, a stack of paper, AND packing tape would be a struggle at best, impossible most likely. 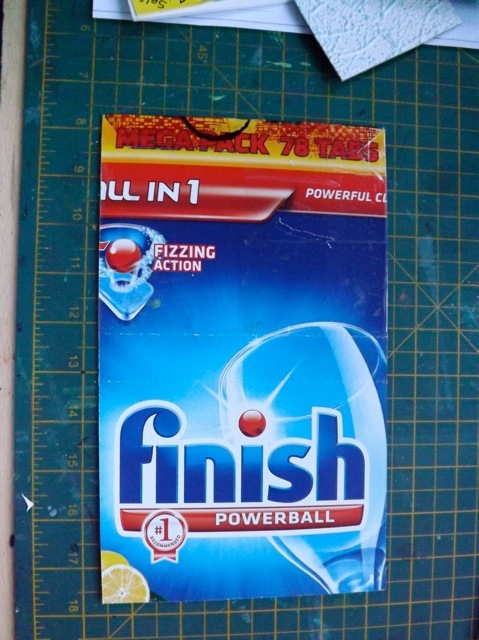 Despite have the most enormous stack of Gelli prints, I find MOST of them are not right for this. I get an idea, and print willy-nilly here and there on the paper, sometimes two 6×6 prints on one A4 sheet, slightly overlapping. I have to really examine them and see if there are any I could use by over-printing to unify them, and check on the double-sided-ness of them. And I may have to just plan a session that is much more INTENTIONAL printing and not random play. But overall I am liking the look of it, and liking that I can play with packing tape and actually USE it. could you pull a print on tape and wrap it around a candle? could you pull a print right onto a wax candle? when the candle burns down will it all catch fire? are burning paint fumes toxic? 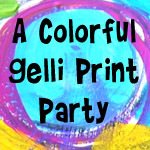 could you pull a print made with inks on tissue paper? apply that to the candle in the usual way? is that practical? more or less effort than doing it just by stamping? All of these things dash thru my had in seconds: consider, assess, discard, consider more, TRY it. 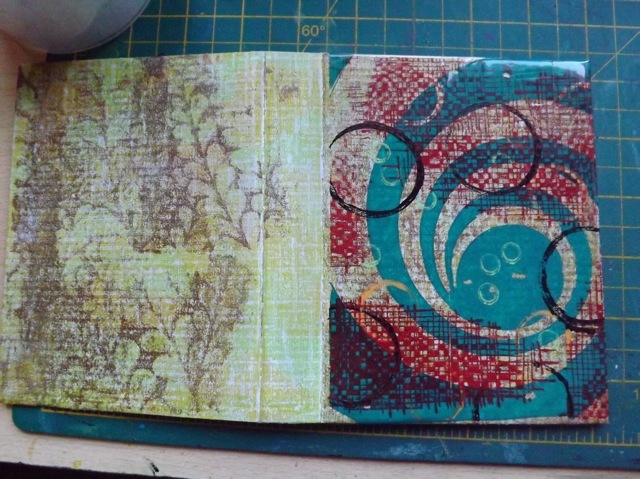 Categories: Gelli plate monoprints, mini-albums | Tags: art techniques, Gelli, Gelli plate, how-to, mini-albums, packing tape | Permalink.